Crazy! 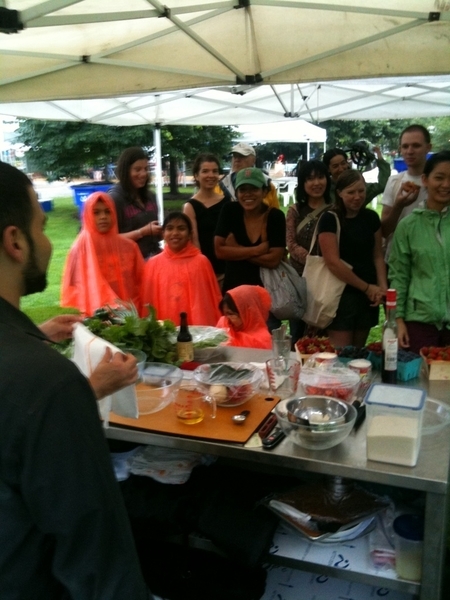 About 50 folks have shown up for my rain drenched demo at Green City Market. Yea, Chicago!